As my children grow older, I realize just how quickly the "magic" of the holidays can vanish. Easter is right around the corner. The Easter Bunny, coloring Easter Eggs and marshmallow peeps are the staples of the season. Even though I can't stand the taste of marshmallow peeps, I always buy one package - it's tradition! Heinz Vinegar and PAAS Easter Egg Dyeing Kits have partnered to bring you the Easter Egg Decorator app, available both online via desktop or laptop computer and through the iTunes App Store. 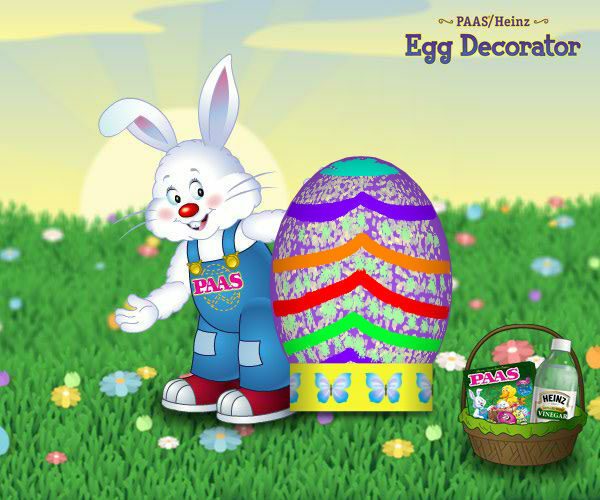 Now through March 31, when you decorate and share a virtual Easter egg with family and friends using the free app, Heinz and PAAS will donate $1, up to $25,000, to Make-A-Wish. For the brightest, most vivid colors, add one tablet and three tablespoons of Heinz Distilled White Vinegar to a PAAS Color Cup or a one-cup container. Once the tablet has dissolved, add ½ cup water and stir gently. Also, to help keep hard-cooked eggs from cracking, add two tablespoons of Heinz Distilled White Vinegar per quart of water before placing the eggs in the pot. The shells will also peel off faster and easier when they’re done. What are my favorite things about Easter? The answer is one that I don't even have to think about... watching the joy and excitement of my children! 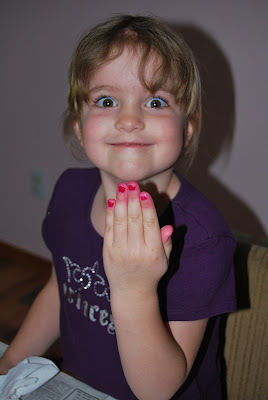 There isn't a better feeling than watching the excitement on your child's face during ANY holiday. There is always something special and magical when you see things through the eyes of a child. The Easter Bunny always leaves a trail of goody-filled plastic eggs for the kids to find when they wake up on Easter morning. The eggs start just outside their bedroom doors and lead them on a "hunt" to their "big" Easter gifts. In the afternoon we get together with friends and family for a fun-filled BBQ potluck and Easter Egg Hunt. It's an entertaining day for everyone. The adults have a great time relaxing and visiting. Although I know our favorite part is hiding the eggs and then watching the kids run around the yard laughing and screaming each time they find an egg. The kids are always so eager and excited to open their plastic eggs to find what treasures and treats are inside. Candy, toys, bouncy balls, tattoos and even money! Disclaimer: I received a complimentary Easter basket of goodies from Heinz and PAAS for the purpose of writing a review and hosting a giveaway. Regardless, I only recommend products or services I use personally and/or believe will be a good fit for my readers. The views and opinions expressed on this blog are purely my own. Results may vary. No monetary compensation was received. We have a competition who can create the best egg! I love making easter eggs with the kids, not sure how much longer I have their interest. This is the first year we are decorating eggs as a family. Usually the kids are excited for the baking and chocolate candy making. We always plan a hunt with stickers and small surprises, but also a basket filled with art supplies and books. 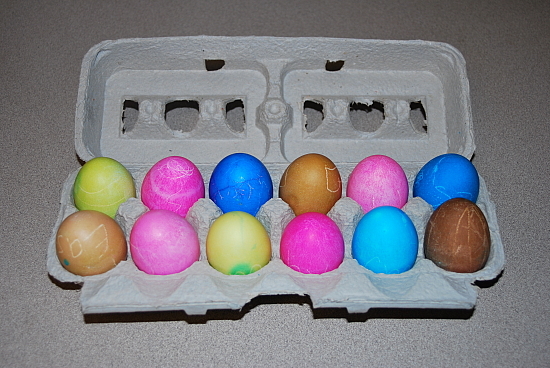 Our favorite is egg dying too! :) The kids just have so much fun. That's how the easter bunny does things around here too. The hunt is the best part! I used to love decorating eggs when I was little. I don't do it with my kids because my son has sensory issues, and he can't stand it. I also want to say that I LOVE that they're donating to Make a Wish. It's one of my favorite charities! Looking forward to making eggs soon! Love that this supports Make a Wish! Happy Easter!